Current ACS ChemClubs are invited to participate in this year’s Virtual Book Club. Get a rough estimate of how many students from your Club will participate in the Virtual Book Club. The February 2017 resource packet has a color flier you can post in your classroom, along with an information sheet to share with Club members. You can also download the flier and info sheet. Club advisors can register their Clubs (it’s free!) by March 1, 2017. Domestic Clubs who participate will receive an Amazon gift card of up to $50 to help offset the cost of buying copies of the book. 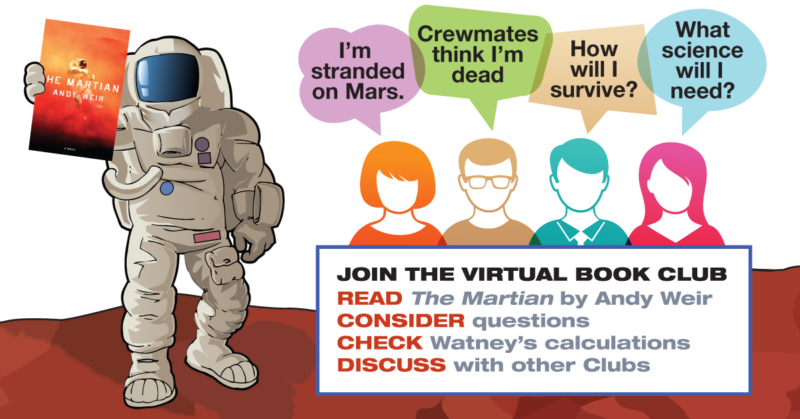 We suggest you order the classroom edition of The Martian. It’s been edited to reduce offensive language so it’s more appropriate for classroom use. It also includes a discussion with the author about his thoughts on the science that went into the book and questions to consider. What will our ChemClub’s Virtual Book Club do? Consider and discuss questions about the book. We’ll send a reading guide with suggestions. Put your problem solving skills to the test like Watney. We’ll send an activity to try. Pose questions related the book and the science it presents and send them to ACS. Experts will answer selected questions. 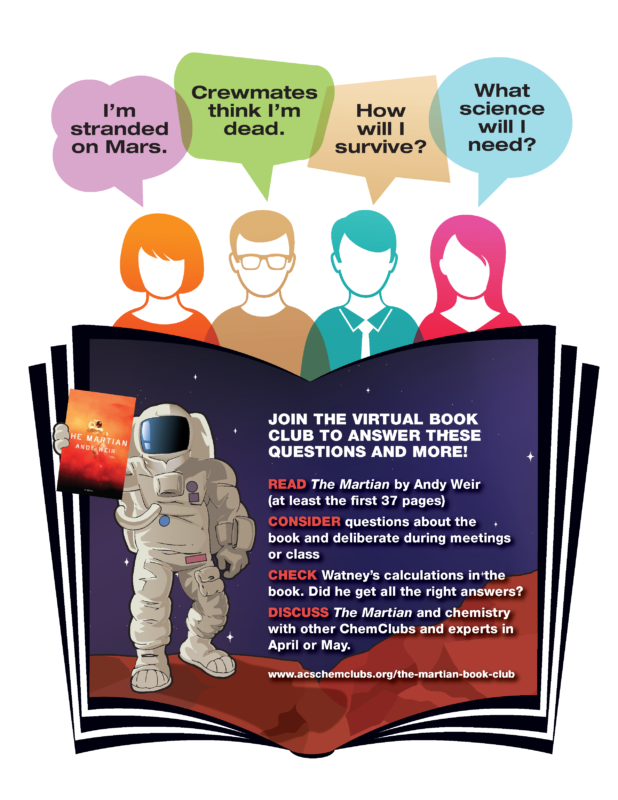 Connect with other ChemClubs in April/May in a virtual discussion about the book. What are you waiting for? Join in this year’s Virtual Book Club. Help bring The Martian home! Next Post A BIG NCW Celebration!